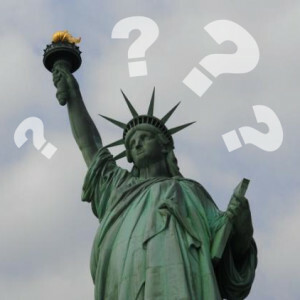 Will There Be A New Immigration Law In 2013? With the federal government shutdown now in the rearview mirror, the question now becomes: Is there going to be a new immigration law this year? Here’s some of what I learned as a political science major: The two parts of Congress — the House of Representatives and the Senate — have to pass the same bill. If the House and Senate pass two different versions of a similar bill, then the bill goes to a conference where the differences get hammered out and then both parts of Congress have to vote again. Once both sides agree on the same bill, it goes to the President for signature. At the moment, we are two-thirds of the way there. We know that the President wants to sign an immigration reform bill. We also know that the President has signaled that immigration reform is one of his top priorities for this year. We know that the Senate passed its version of an immigration reform bill in June. At this point, the attention is focused on the House of Representatives. The House has so far declined to consider the Senate’s version of the immigration bill. Instead, the House leadership has indicated that it seeks to consider a “piecemeal” approach — picking and choosing the portions of the bill that they like. One of the biggest sticking points (among many): the Senate favors a “pathway to citizenship” for persons without authorization to be in the United States while the House does not. Because of the conventional wisdom that Congress is unlikely to pass any immigration bills during an election year, I remain hopeful for the passage of an immigration bill in 2013. However, until that happens — both sides agree on the same bill and the President signs it — there is no new immigration law. Watch out for people promising that they can help you get a “green card based upon the new law.” If it sounds too good to be true, it’s probably a scam, which you should avoid.